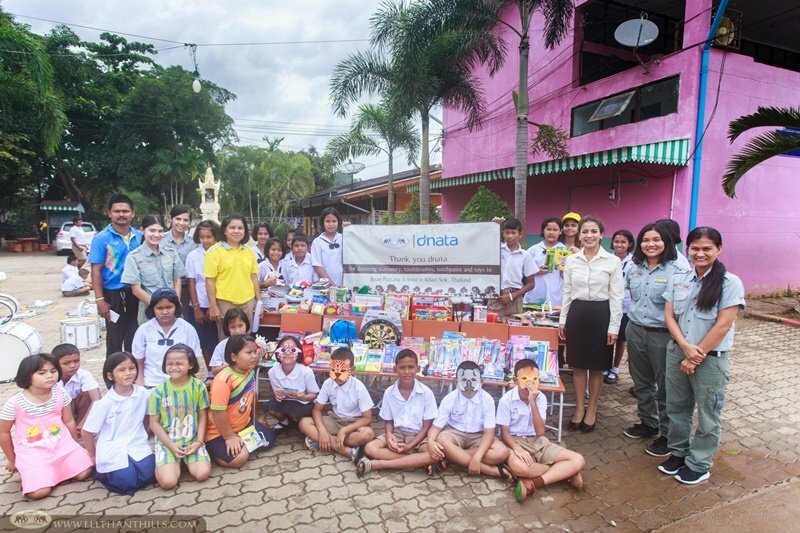 Elephant Hills and our wonderful partner dnata recently joined hands to brighten the school days of students in Khao Sok. 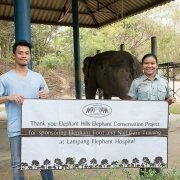 Elephant Hills Children’s Project facilitated a donation at Baan Pattana School, located close to the beautiful Cheow Larn Lake. 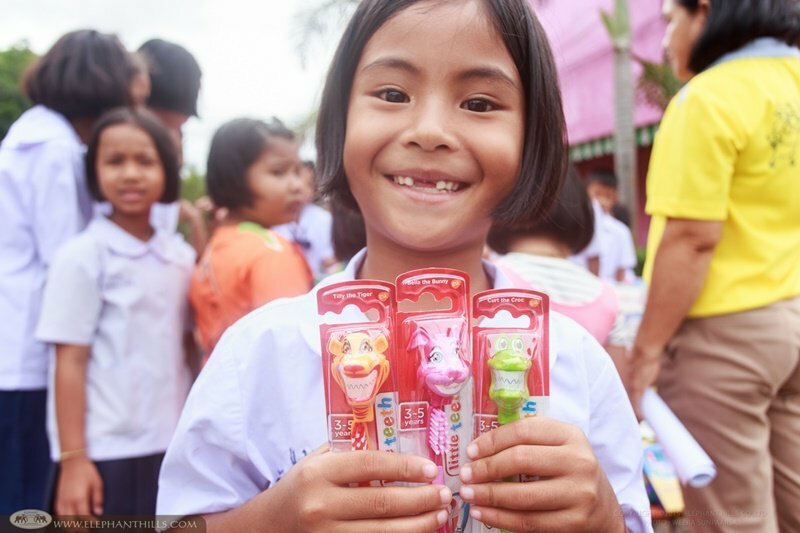 The generous donations consisted of a large selection of stationery, toothbrushes, tooth paste and toys for the less fortunate children. The kindhearted staff from dnata had bought and gathered these essential items and brought them to Thailand all the way from Europe and Middle East. Arriving to Baan Pattana School in Takhun sub-district in Surat Thani province, we saw dozens of students waiting for us in front of the school building. We were impressed by the amazing welcome and the children had also brought the drum set we donated last year and were proud to show their improved skills. We were very happy to meet and catch up with the lovely headmistress Ms. Pim, who expressed her and all teachers’ appreciation and gratitude for the donations. The kids couldn’t help exploring and admiring all the wonderful donations, brought to them all the way from Europe and Middle East! 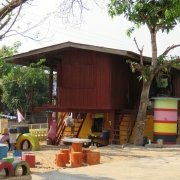 Baan Pattana School offers kindergarten and primary education for 124 students. 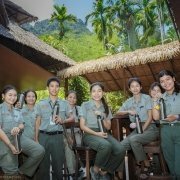 The headmistress explained, that although some students’ parents have found good employment within the tourism industry, there are still many families that are struggling and need continuous support. 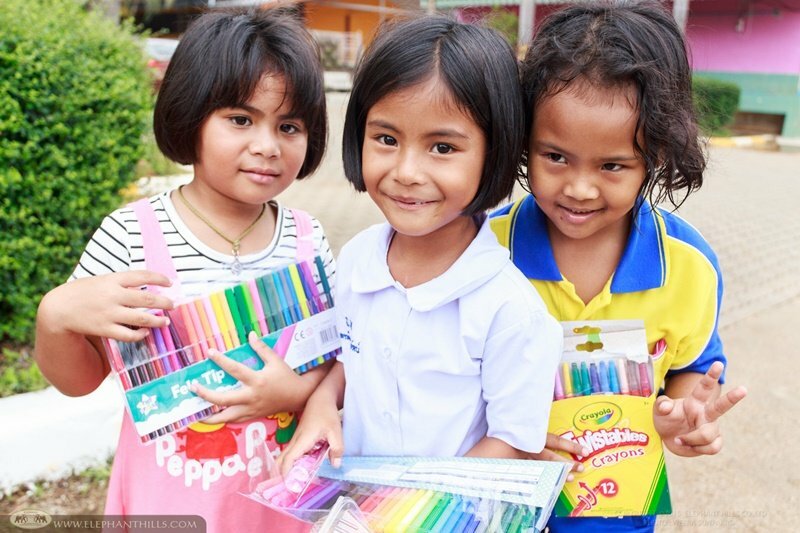 For these underprivileged children, getting a brand-new set of crayons, a notebook or a second-hand toy really means a lot. 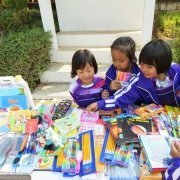 Furthermore, brought all the way from another side of the world, the stationery and toys are something very special in their eyes and so different from what the children here are used to. Overjoyed and proud of their new crayons and markers! 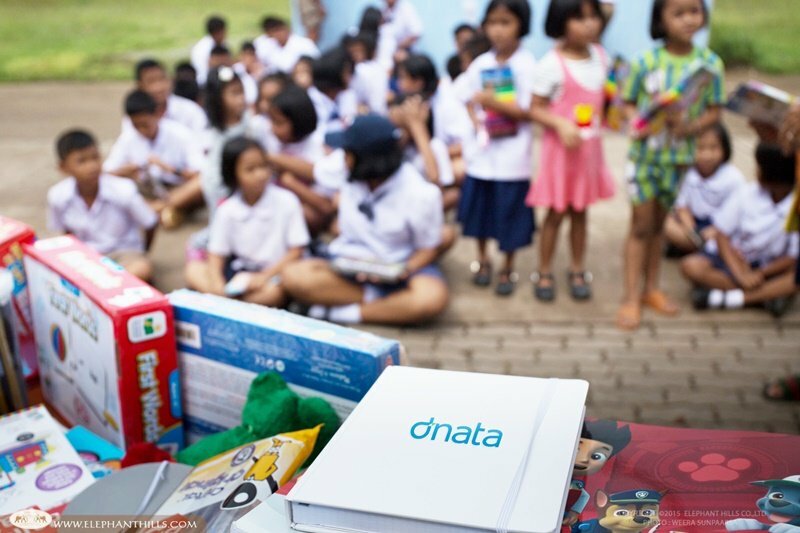 Thank you dnata for teaming up with Elephant Hills Children’s Project for this fantastic donation! 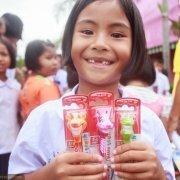 Would you like to help to improve the lives of the rural Thai children? 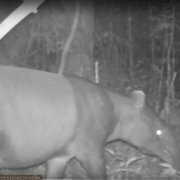 We are actively looking for individuals, travel agencies and other companies to co-operate with our Children’s Project through corporate sponsorship. 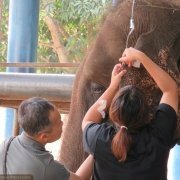 We have established several very successful co-operations all across the globe, which are much appreciated by the schools, agents, operators and us at Elephant Hills. For more information, please don’t hesitate to contact us at [email protected]. Tell me more about the Childrens Project!